Fostering English fluency and enriching people's lives through academic excellence, cultural exchange and the sharing of aloha. 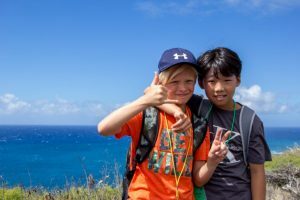 With the Aloha Spirit as our guiding principle, IIE Hawaii's mission is to promote a dynamic and engaging educational experience for our English language learners, and provide quality student services, activities and accommodation. The Aloha Spirit is the working philosophy of IIE Hawaii, and is more than a word of greeting or farewell. Aloha means mutual respect and friendliness and extends warmth, fairness and understanding to all our customers and employees. Employees of IIE strive to use the word ‘aloha’ as official expression of the ‘Aloha Spirit’ so that we are ever reminded of this, our higher goal. IIE was one of the first English language schools in Hawaii. 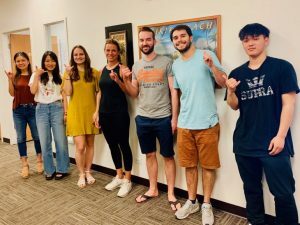 It was founded in 1984 on the campus of Chaminade University, and served as a bridge for students to improve their English before they were ready to transfer to the university. In 1990, IIE changed ownership and was relocated to Waikiki. In 2006, the school moved from the Waikiki Trade Center into its present location in the modern Bank of Hawaii Waikiki Center situated at the corner of Kalaukaua and Beachwalk avenues. IIE has grown significantly in size and recognition, particulary in the last decade. During this time, IIE's international reputation has grown through important developments that include the influential Academic Track college pathway program, its unique IIE Nationality Mix Policy, seven Excellence Awards, and an initial accreditation from ACCET with no weaknesses. Also during this period, IIE more than doubled its space on the 7th floor to accommodate rapidly increasing enrollment. See below for important dates. 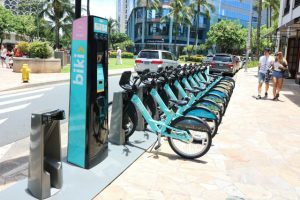 IIE changes ownership and moves to Waikiki.